The rider is a 20-something Filipino that rides a Honda Wave 125cc underbone. He knows little about motorcycles yet loves the experience going places on two wheels. 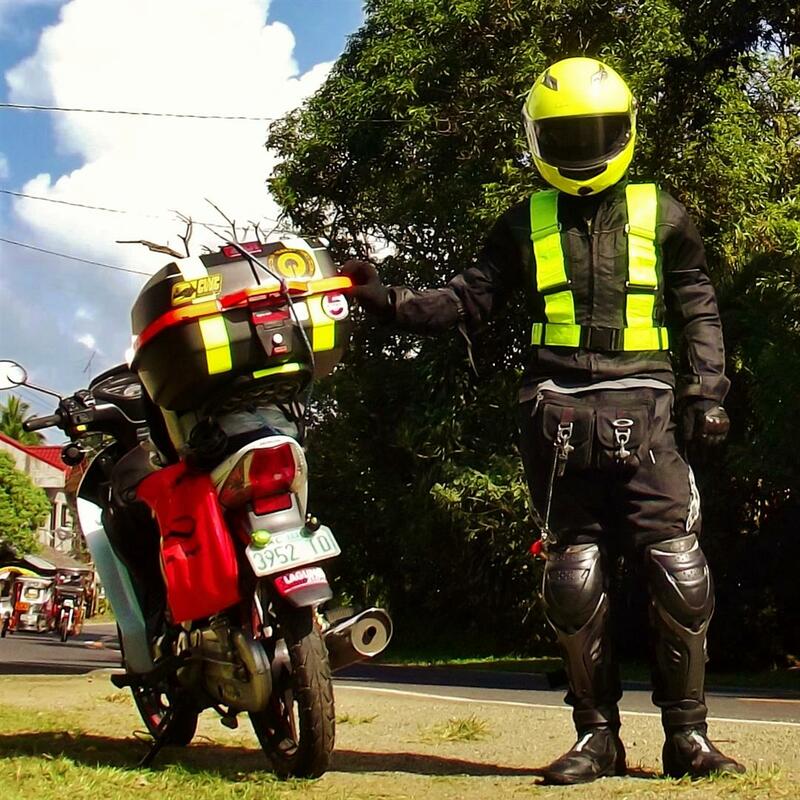 Rider Ako is a motorcycle-slash-travel blog. The rider not only shares to you travel destinations and what to see there but also the experience of getting there. You will read about the thrills and adventure when he rides solo, the romance of riding in tandem, the camaraderie riding with a group, the excitement participating in events, and anything that he thinks you might find interesting.When he’s broke and the fuel’s empty, he will share stories about motorcycling how he sees it through his helmet visor. Hi Kara.. Your comment has been sitting on the spam queue thanks to Akismet. hehe.. Yep, I am from Albay. I hope to meet you on the road someday..
Hola, Doms, followed you for your unique About page! haha. Love the idea of hearing travel stories from a rider’s visor! Must be pretty darn close to the truth and the nitty-gritty of wherever you choose to go, eh? Thanks for dropping by my ambitious baby blog and your sunshiny words of encouragement! I’m not much of a writer so please forgive me if I might not be able to fully relay the thrills of my adventures on my blog posts. I was a (lot) more of a rider than a writer after all. I promise I’ll do best. Cheers! hi! we are scheduled in Legaspi this coming July and we want to include the Cagraray island to our itenerary, sadly i can’t find someone who can tour us around without getting the day tour of Missibis. reading your blog gave me hope that it is possible. if it’s not too much to ask, do you know someone or a tour company who can give us a tour around the island? thank you so much in advance for your help. I don’t see any way you are getting a day tour in Misibis except through them. It’s their resort after all. You can rent a van to see the Cagraray Ecopark and enjoy the scenery along the way. If you really want to enter the premises of Misibis Resort, according to the guard at the gate I spoke with, you have to pay P1000/head entrance fee. I hope you have a blast in Legazpi! I sure hope you can.. Maybe we can even share a few hundred kilometers on the road. Cheers! I just want to tell you how awesome you are for what you’re doing. Very inspiring and interesting blog! Ride safe though. Hello doms!! Glad to find this blog:) i want to have a discussion regarding the loop. Please find me at jenar17@yahoo.com… Waiting for ya. Thank you Rajen for taking interest in my trip. I sent you an email. uy Ren! salamat.. dun pa rin ako sa dati kung san niyo ako iniwan ='( hehe..
btw, i read your North luzon loop adventure. nice one sir. Thumbs up!!!! Hey Roy, I suggest you take a shorter 300-km ride with your buddy to get a feel of a long ride. Just prep your bike especially the tires, electrical wiring, brakes, and have it serviced by a trusted mechanic. You can only prepare for so much though so pack a lot of common sense, pray and trust your gut 😉 Enjoy the ride! what route for the shorter 300 km ride? mac arthur hwy? Yep.. pwede rin Laiya, Batangas. Or Baguio, o Zambales o kaya Baler. Depende where you are from. Something that’s farther than both of you have travelled together. Cheers!